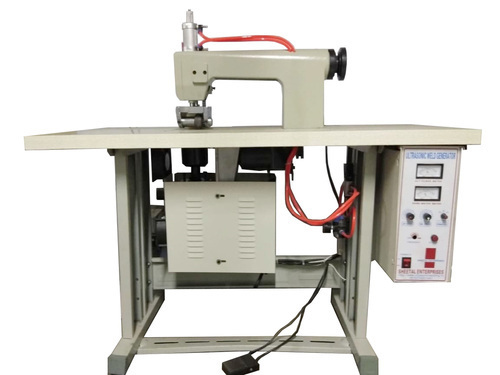 Founded in the year 1987, we “Sheetal Enterprises”, are famous firm which is affianced in trading, importing and exporting a wide and reliable assortment of Ultrasonic Sewing Machine, Ultrasonic Localization Machine, Ultrasonic Non Woven Bag Making Machine, Ultrasonic Welding Machine, Automatic Non Woven Bag Making Machine, Ultrasonic Slitting Cutting Machine, Ultrasonic Mask Blank Machine, etc. Located at Ahmedabad (Gujarat, India), we are connected with renowned vendors of the market that helps us to provide highly efficient range of machines as per the industry set norms. Brand in which we deal is South Nikon. We are a Sole Proprietorship Organization that is incepted with an aim of providing high quality range of machines across the nation. With the support of our Proprietor “Mr. Bhavesh Patel” we have been able gain the confidence of our clients. Also, we export these machines to Middle East, Africa, etc.